-A great adaptation of the source material. -Characters act true to form. Cyclops actually acts like Cyclops which has become a rarity in recent memory (most shows fail at this and the movie version of Cyclops was a joke). This is also the most accurate version of Wolverine since forever. The movies and recent TV shows have made him into some tall, polite, good-looking hero which Wolverine isn’t. He’s a short, wise-cracking, hairy, badass that will kill first and ask questions later but not before calling you bub. 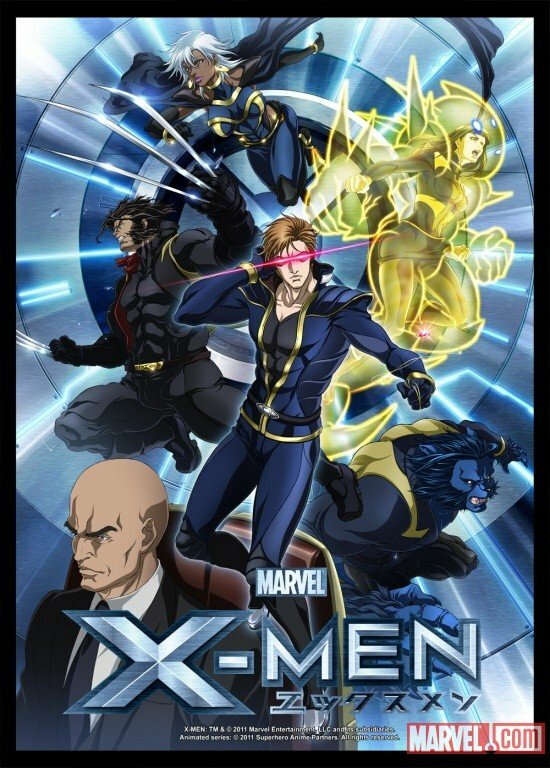 -Action scenes are fun to watch and really show off the team dynamics of the X-Men as they work together and all get a chance to shine in each fight. -I’m not sure if it’s just my imagination (as it very well could be) but there seemed to also be stylistic nods to Anime like D. Gray Man and Afro Samurai which were nice to see (even if it’s just a coincidence). -12 episodes felt like the right amount for this story arc and it’s easy to breeze through. -It’s a bit dry. I blame this on the fact that this is a very serious story arc to tackle which isn’t the fault of the team who made this. It’s incredibly difficult to inject humor into this part of the storyline though I will admit that I am used to the majority of the X-Men team keeping up the laughs or at least snarky comments through all of the hardships they face. That's not to say the series is devoid of humor but there's definitely very little to go around. -There are a few moments where the pacing slows down a bit too much and it becomes apparent that they had a hard time stretching certain moments into a full episode but it’s never bad enough to leave you feeling bored. This is Kylak signing out and probably ignoring the Blade Anime unless someone gives me a good enough reason to do otherwise.